As the honeymoon dulled, and delivery failed to match the early promise, the politics shifted and policy disastrously followed suit. The wave of violence unleashed shortly after independence by Mugabe against his former Zapu allies in Matabeleland led to the creation of a de facto one-party state 30 years ago, when Mugabe was declared executive president. A new ruling elite emerged, controlled through a vast system of patronage centred on the party, with access to farms, jobs and contracts. Exactly 20 years ago, in November 1997, with growing frustration at the slow pace of development, the government published a list of 1,500 white farms to be expropriated, even though nearly half of these farmers had purchased their land since independence. Once royal game because of their economic contribution, the farmers had become a juicy political target, owning nearly 40% of all land and two-thirds of the best farming areas. With one-third of listed companies dependent on the agriculture sector, the stock exchange plummeted, economic conditions worsened by Mugabe’s provision of a $400-million package of benefits to a key constituency of increasingly agitated war veterans. By the turn of the 21st century, living conditions among average Zimbabweans had worsened, with real wages falling by a fifth since independence, unemployment at 50% and annual inflation of 60%. Still, in the first 18 years of independence, the government had resettled some 70,000 families on nine-million hectares of land. 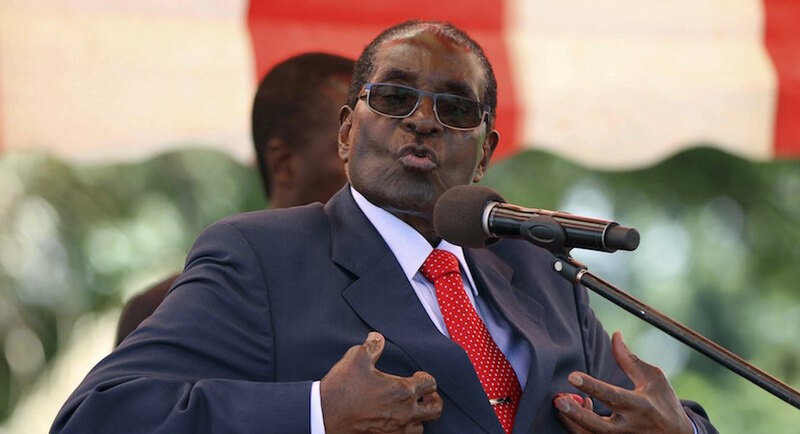 Mugabe now proposed to settle another 150,000 families on a further 12-million hectares. If land was the fuel to satisfy an increasingly restless population, the referendum on a new constitution in February 2000 was the spark. Read also: What land expropriation looks like: ‘negotiating with thieves’ – Zimbabwe farmers. MUST READ! When Mugabe’s draft constitution allowing land expropriation without compensation was defeated in the face of considerable opposition, in part organised by the (mainly white) Commercial Farmers Union, the farm invasions began, just 10 days after the referendum. Realising that the farmers, like other Zimbabweans, derived strength from ownership, Mugabe took it away and dispensed the proceeds, though not the title, to his followers. Keeping everyone beholden to the state (with all land vested in the president) solidified and tightened Mugabe’s grip on power. Over the next 17 years, 4,200 farmers were evicted from eight-million hectares of land. Income per capita, which was $1,255 in 1981, plummeted to just $541 in 2008. With Mugabe off the scene, Zimbabwe now sits at a Berlin Wall-type moment, facing, simultaneously, potential economic collapse and major opportunity. The fiscal and monetary situation is parlous, the country running a nearly 20% (to GDP) fiscal deficit, unable to pay the Treasury Bills which partly fund it, and racking up growing international and domestic debt. This deficit has arisen in part to fund the bill for the 300,000 civil servants, subsidies on basic goods including fuel, and the running costs of 105 parastatals. To fund all of this, Zimbabwe finds itself with three currencies, now, by which the government has Zollarised. Instead of exporters receiving dollars from the Central Bank, through which they have to process payments, they receive credit, in the form of “RTGS”, or Real Time Gross Settlement entries. In theory, individuals can get US$ against this credit. Since there is insufficient cash in the system, the country survives on cashless swipe transactions, with the RTGS trading at a 50% discount, at least, to the cash dollar. The banking system is thus “technically insolvent”, in the words of one expert. The situation is complicated further by the government’s issuance of $200-million in small denomination bond notes, ostensibly supported by an external loan. Commercial banks hold $2.1-billion in T-Bills. RTGS unsupported by cash amounts to a further $3.5-billion. Given the recent memory of hyperinflation, citizens now hold the greenback, not in banks, but mostly deep down in mattresses or out of the country. The premium attached to this complicated monetary system is passed on to the consumer – which is why prices for anything other than locally produced goods in supermarkets average three times as high as South Africa. This explains also why, as one Harare-based diplomat has put it, “if a new leader set up a logical economic plan, people would follow willingly. But this would have to protect savings, get government costs under control, and deal with corruption”. The need to cut government expenditure was at the heart of the terms of an IMF deal spelt out at Lima in 2015. Harare agreed to inroads into its external debt of $7.2-billion (of which $5.1-billion was in arrears) through a “road map” of payments and reforms, including cuts in public spending from payroll to parastatals while pursuing pro-business policies. But then, as now, there has to be the political will, first and foremost, for change. President Emmerson Mnangagwa has immediately undertaken to focus on the economy and job creation. Pledging himself as the peoples’ “servant” in which “no one is more important than the others”, he has promised “jobs, jobs, jobs” in a “new and unfolding democracy”. That’s a good start, and long overdue. There are other upsides. 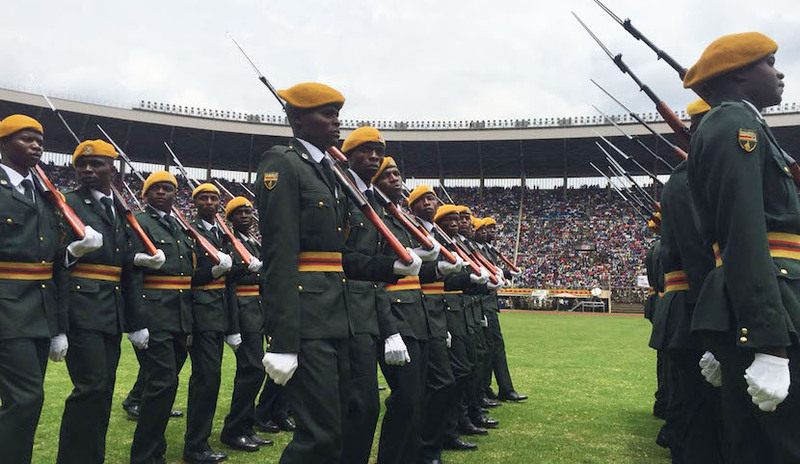 While Zimbabwe’s capacity has weakened, not least since at least four-million of its citizens have sought greener pastures elsewhere, it still retains a base of skills, honed on “making a plan” and taking gaps given the difficult financial environment. Restoring private property rights, and clearly protecting the rights of foreign investors. Enabling the orderly devaluation of the Zollar, possibly through “blending” and a currency board, but also through an IMF deal to enable this transition. Simply switching to the rand as the preferred currency in the interests of greater liquidity will not make any difference if the country continues to spend more than it earns. Replacing indigenisation prescriptions in the law with empowerment. Dealing with corruption, from the harassment of police at the bottom to the prosecution of some big fish at the top. Any country recovery strategy would also have to make specific policy interventions in key productive sectors – tourism, mining and agriculture – and also deal with governance and fix decrepit infrastructure. Doing so will involve swallowing bitter political pills. In agriculture, for example, quick wins are possible given the tempo of seasonality, but the centralised “command” approach of government price setting and provided inputs will have to be replaced by a system which permits farmers to make their own choices. Since July this year it is estimated that the presidential input scheme and setting of (high) prices for cereal purchase has cost the government $700-million, permitting all manner of corrupt schemes while bleeding the treasury. Maize parity globally, for example, is around $190/ tonne versus the $390 being subsidised by government. Absent land title permitting collateralisation and commercial borrowing, state handouts are the only likely source of funds. Somehow land values will have to be reinstated; in effect, rural land has to be put back on the market. In his inaugural address on Friday 24 November, Mnangagwa indicated that his government is committed to compensating those farmers whose land was seized. There is a complex plan on the table for doing so, essentially by agreeing on a valuation and offering it to the current crop of settlers, the funding possibly sourced from a donor-administered long-term international bond. The focus of this effort is not, however, simply the financial compensation of a small group of white commercial farmers, but rather the re-establishment of the rule of law and recreation of value to allow institutions to extend credit without which farms cannot operate anywhere near their potential. The positive knock-on effects would be great. The resuscitation of the manufacturing sector will depend on what happens in farming. Currently it runs at perhaps a quarter of its capacity, particularly affecting the smaller towns once dependent on the presence of a few big firms. Mining presents a significant but inevitable slower turnaround opportunity, given the inevitably lengthy periods of exploration, development and capitalisation. Confidence has been hammered by a lack of transparency and indigenisation legislation, as it has in other sectors of the economy. A first step will be to write a new mining act with the long term in mind. The sector will also prove a test of Mnangagwa’s commitment to a “no nonsense approach” towards corruption. Tourism, too, offers quick wins, with countrywide occupancy at under 40%. Easing visa policies will help, but reforms will have to encompass a shift in service culture on the part of the government. The surly immigration and customs official will have to give way to those encouraging the visitor to come in to spend their money, and the police “taxation” road block must become a thing of the past. In each of the above, a general rule holds true. 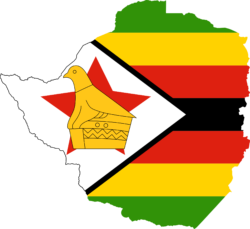 Get government (largely) out of the way, and positively signal a change of attitude and direction to improve the Zimbabwe brand, which is now badly damaged. A failure to do so quickly will however simply cement the country’s basket-case status, of interest to few serious investors save the humanitarian aid brigade. Mnangagwa can reinforce his political support by getting the economy back on track. He might try to do this through what former finance minister Tendai Biti refers to as “performance legitimacy”, otherwise the “Kagame option”, by cleaning up government and getting things done. 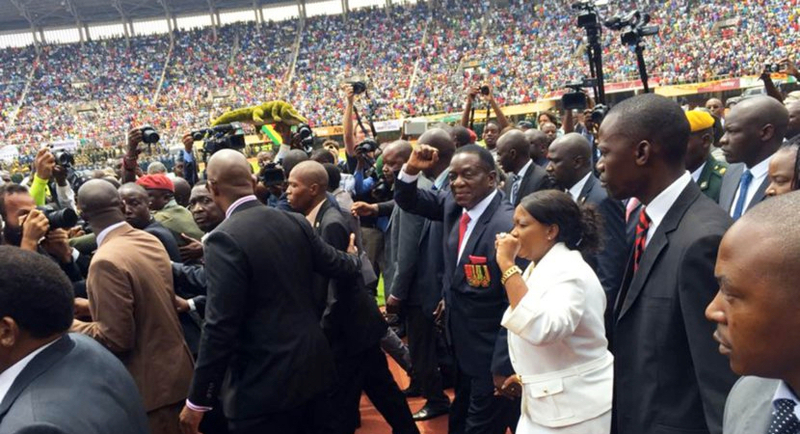 If he can do that, if Mugabe was Zimbabwe’s Chairman Mao, Mnangagwa would be its Deng Xiaoping. But the Kagame option should not reassure donors and investors alike. They should be fearful of the consequences of untrammelled power and the corrosive effects of patronage. For all of the euphoria around Mugabe’s removal, and eagerness of donors to assist, outsiders should have learnt by now that external conditions don’t stick in the absence of domestic political will. Reforms work when locals want them more than outsiders, and when the benefits are widely and transparently spread. More than just being pro-business and pragmatic, as much as these are positive steps, to ensure his credibility among donors and investors the new president will need to emphasise the civilian and constitutional character of his government and the rule of law. This is especially necessary given the soft coup which removed Mugabe. This could be achieved through including others in his cabinet with a track record of reform and a commitment to democratic principles, and by ensuring laws and governance and election practices that make Zimbabwe a more open society, where choices, money and views percolate freely. Greg Mills is the co-author of Making Africa Work and heads the Brenthurst Foundation.